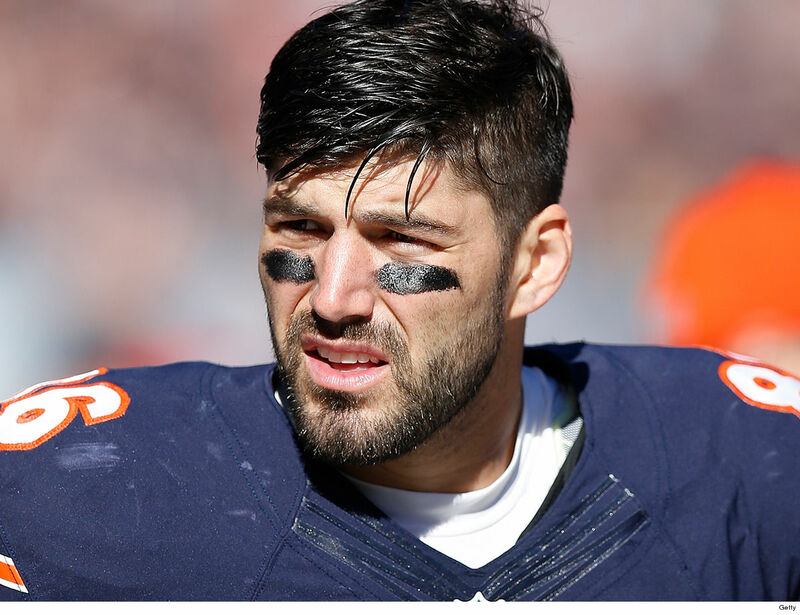 Zach Miller -- the Chicago Bears tight end who nearly lost his leg in 2017 after suffering a horrific injury -- says he's done with football ... announcing, "The time has come." Miller severely mangled his leg during an Oct. 29, 2017 game against the New Orleans Saints ... when his left knee snapped as he tried to haul in a TD pass in the 3rd quarter. The injury was gruesome ... his knee dislocated so severely that vascular surgeons were called in to help repair a damaged artery. You can watch the video here ... BUT WHY WOULD YOU DO THAT TO YOURSELF?! Docs were able to save Miller's leg ... and the 34-year-old tried to make an NFL comeback -- but he announced Tuesday he's officially callin' it a career. "I would love more than anything to step on Soldier Field one last time but I physically cannot give the game and our fans what they deserve," Miller wrote. "It’s difficult to find words to express my love and gratitude to every single person that has cheered my name, picked me up and stood strong with me throughout my time in this league. I am forever grateful." Miller played 7 years in the NFL ... catching 146 passes for 1,631 yards and 15 TDs. Zach Miller TMZ Sports Breaking News NFL Football Chicago Bears Nurse! Bears head coach Matt Nagy says he spoke with Kareem Hunt just a week ago ... and didn't rule out signing the troubled RB when asked about the possibility Monday. Hunt's been out of the NFL since TMZ Sports published video of the ex-Chiefs star shoving and kicking a woman during a February altercation at a Cleveland hotel. But ... Nagy's got a great relationship with the RB -- he was Hunt's OC during the RB's rookie season in 2017 -- and says he wanted to check in on him when they spoke just a few days ago. "I talked to Kareem completely wanting to know how he's doing. And we had a good conversation." Nagy says the convo never turned to football ... but he did say he's a coach that has always been in favor of giving players second chances. "Me, personally, depending on certain people's situations, I'm a guy that has always been that. I've been kind of raised that way to give guys second chances." Does that mean Hunt will be in a Chicago uniform next season? Nagy certainly didn't seem opposed to the idea ... but GM Ryan Pace says the Bears need more time to make that call. "We're not even there yet," Pace said ... "I know what [Hunt] is as a player, obviously, from watching him. Matt knows a little bit more about him as a person. But we're not even close to that point." Hunt is still facing suspension -- which is expected to be AT LEAST a 6-game ban next season -- from the league for the incident. 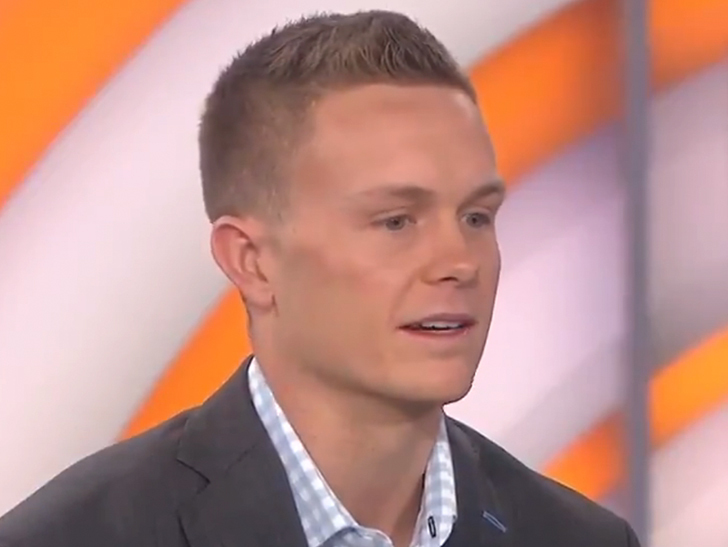 Chicago Bears kicker Cody Parkey -- aka "doink doink" -- says he still feels HORRIBLE after that game-losing field goal in the playoffs ... which is why he's steering clear of Twitter. The 26-year-old appeared on the "Today" show Friday morning and said he can still barely believe he missed that 43-yarder against the Eagles with time winding down in the 4th quarter. "I'm disappointed," Parkey said ... "I let the fans, my teammates and the whole organization down." "But, I'll continue to keep my head held high because football is what I do, it's not who I am." Of course, Parkey was booed off the field after missing that kick -- and the hate online has been ruthless. "I haven't been on social media or anything like that," Parkey said. He added, "I feel worse than anybody about missing that kick because I wanted to make it more than anybody ... but at the end of the day, I'm gonna hold my head high." We got Parkey leaving the show and asked him if he felt safe going back to Chicago -- and the good news, he doesn't seem worried. Mike Ditka Feeling Great After Heart Attack ... Excited for Bears Game! The legendary coach tells TMZ Sports he feels great after suffering a heart attack back in November -- and he's already cracking jokes and golfing again!! 79-year-old Mike Ditka was hospitalized following the medical emergency and doctors decided to implant a pacemaker. Ditka says he realizes he's lucky doctors were able to successfully treat him and he's focused on enjoying life because he realizes he ain't gonna live forever. "How long this [pacemaker] will ride out? I don't know ... but I'm gonna try to make it last." Ditka says he was overwhelmed by all of the support he received from the NFL community -- and tells TMZ Sports he can't wait to support his Chicago Bears when they take on the Eagles on Sunday. Ditka won't be at the game, he'll be watching from home -- but he explains why he thinks the Bears are a force to be reckoned with. Mike Ditka Says Bears Are Better Than Rams, Chiefs & Pats, They're Top 2 In NFL! Tarik Cohen doesn't give a damn if he cost you money in your fantasy football league Sunday ... 'cause the Bears RB says everyone hating on him needs to SHUT THE HELL UP!!! "Hey, Fantasy owners. Ya'll get the f*ck from under my comments. Talking about my weak performance. We got the dub. Bear down." Cohen's been a nice surprise on the fantasy scene this year ... posting double-digit points in 9 out of 16 weeks -- which ain't bad for a guy most thought would be the Bears' backup RB. But, the Chicago superstar laid a serious egg when fantasy players needed him most ... 'cause in championship week Sunday -- he totaled just 19 yards. Doesn't seem Cohen cares at all ... Bears got the win over the 49ers and now have a shot at the No. 2 seed ... and Tarik hit the dance floor like a mad man afterward to celebrate!!! 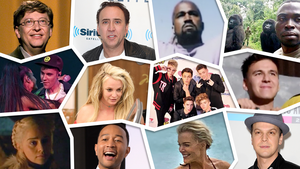 Marquette King Gunning For Music Career, I Could Be Bigger Than Chris Brown! Aaron Donald says if you're jumpin' off the Rams bandwagon after their ugly loss to the Bears ... you're gonna regret it -- 'cause the big DL tells TMZ Sports, "We'll bounce back!!!" L.A. got punished in Chicago on Sunday night -- lookin' like a soft team afraid of the cold in a 15-6 loss -- and many are callin' the 11-2 Rams a fraud now. But, when we got their superstar D-lineman at the Sports Illustrated Sportsperson Of The Year ceremony at The Beverly Hilton ... his message for L.A.'s haters was simple. "We'll be fine. It's a learning experience. It ain't going to do nothing but make us better, make us stronger. We ain't worried about it. We'll bounce back!!!" Donald's probably not wrong ... L.A. likely won't have to go anywhere other than the Coliseum or the Superdome in the playoffs -- which means no more chilly temps for the squad. But, A.D. wasn't guaranteeing a win over Chicago if they rematch in Los Angeles, telling us, "We're going to see!" BTW ... Donald also spoke with us about his quest to break Michael Strahan's sack record -- AND revealed what career he wants to chase when his football days end!! Lovie Smith has no bitterness toward the Bears ... in fact, the ex-Chicago head man is STOKED for the team -- telling TMZ Sports, "The Bears are back!" Remember, Lovie and Chicago didn't leave on the best of terms in 2012 ... with Lovie getting canned despite a Super Bowl appearance AND an 81-63 record in 9 seasons. But, Smith's clearly let any bitterness he had go -- 'cause when we got the current University of Illinois coach out at LAX ... he told us he's fired up for his former team! "I know they're pretty good. I think the Bears are back!" Lovie says ... "Matt Nagy is doing a heck of a job with them." Chicago's got a key game coming up Sunday night, playing the top-seeded Rams ... and Smith tells us he's "anxious" to watch them play -- and thinks they've got a shot at an upset!! There's more ... Lovie also gave advice to Mike McCarthy on how to stay up after being fired -- and told us how he addresses the Kareem Hunt incident with his college players. Josh Gordon is getting used to this whole "winning" thing ... bragging about a Patriots W with fans at an NBA game over the weekend ... and TMZ Sports has the vid!! The New England receiver hit up the Orlando Magic and L.A. Lakers game on Saturday ... and we're told the guy couldn't have been nicer -- interacting with fans nearby and posing for pics. Flash even gave a private smack talk sesh to a Bears fan ... reminding him about the 38-31 loss the Pats handed Chicago in week 7. Let's be honest ... the newly-acquired Pats receiver didn't have much experience winning in Cleveland ... so the excitement is understandable. Josh Gordon's Child Support War Delayed, I Gotta Focus on Football! Mike Ditka Bears Better Than Rams, Chiefs & Pats ... They're Top 2 In NFL! Forget the records ... the Bears are better than the Rams, Chiefs AND Patriots -- so says legendary coach Mike Ditka. 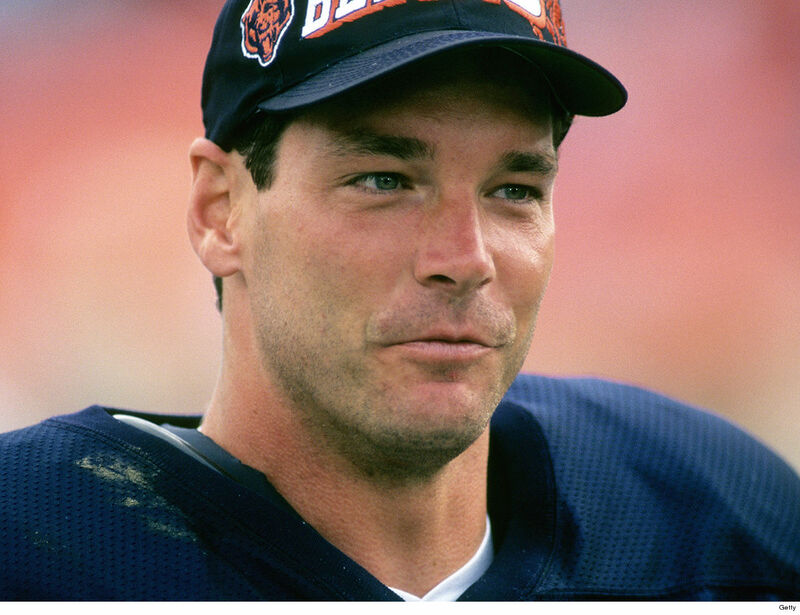 Of course, Mike's biased ... dude played for Chicago and then coached the Bears -- but he tells TMZ Sports there's MAYBE only one team in the league better than them right now. "I look at this team and I look at the Saints, and these are the two best teams I've watched this year." That means Mike's got the 7-3 Bears over the 9-1 Rams, the 9-1 Chiefs, the 7-3 Pats and even the 7-2-1 Steelers. "People who say it's fool's gold, I mean, what's it going to take?" Now, Mike's not going crazy with this squad ... he still doesn't believe the defense compares to the legendary one he coached back in '85 -- but he is saying they've got a real shot at a ring this season. "Barring injuries, they certainly have the talent on that football team to go on to the Super Bowl and win it." Bears get a great shot to prove Ditka right in 3 weeks ... Chicago hosts the Rams at Soldier Field on Dec. 9. Lawrence Taylor Agrees With Bill Belichick ... Khalil Mack Ain't On My Level! 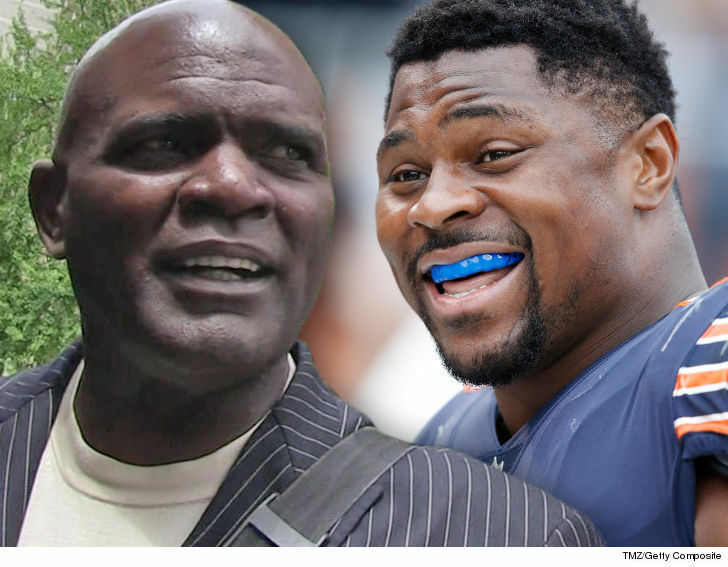 Lawrence Taylor says Bill Belichick is absolutely correct ... Khalil Mack ain't NOWHERE near his level -- and neither is anybody else!!! Of course, the reason we're even talking about this is 'cause a reporter had the onions to ask The Hoody -- who coached L.T. in NY -- if Mack was on the same level as the Giants legend. "We're talking about Lawrence Taylor now," Bill said Wednesday morning, stone-faced and kinda pissed. "I'm not putting anybody in Lawrence Taylor's class. So, put everybody down below that." "What he said!! The mold was made never to be duplicated!!!" FYI ... L.T. was the NFL's 1986 MVP (the last defensive player to win the award), a 10-time Pro Bowler, an 8-time First-Team All-Pro member AND a 2-time Super Bowl winner. As for Mack, he does have a Defensive Player of the Year award under his belt and 3 Pro Bowls in his 4-plus seasons ... but yeah, he ain't no L.T. Then again, who the hell is?!?!? 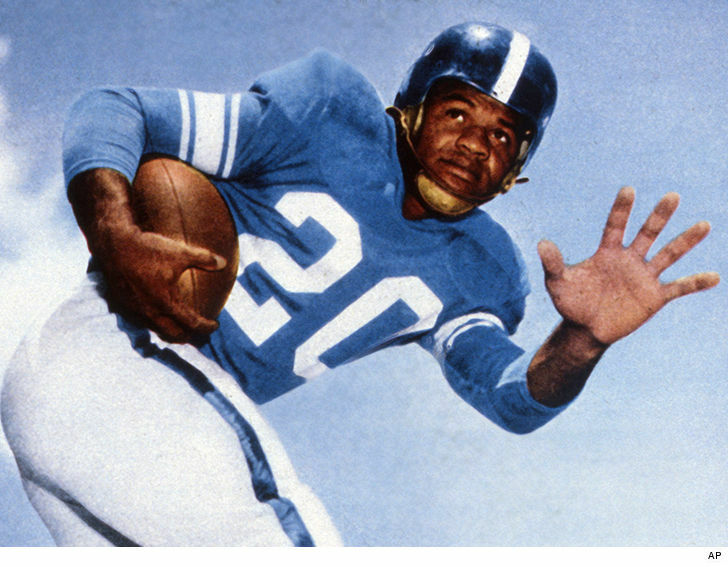 George Taliaferro -- known as the "Jackie Robinson of Football" after becoming the 1st black player drafted by an NFL team -- died Monday ... his alma mater, Indiana University, confirmed. Taliaferro was a superstar at IU back in the late 1940s ... playing running back, quarterback and punter -- and garnering All-American honors three times. When he left the school in 1949, the Chicago Bears picked him in the 13th round ... becoming the first-ever black man to be drafted into the league. Taliaferro made three Pro Bowls in 1951, 1952 and 1953 ... and finished his career with 1,300 receiving yards, more than 2,000 rushing yards and 1,633 passing yards. "All of us at Indiana University are deeply saddened by the passing of George Taliaferro," IU said in a statement. "The 'Jackie Robinson of football,' he went on to become the first African-American player to be drafted by the National Football League, where he excelled at a remarkable seven positions and earned Pro Bowl honors in three of his six seasons." "A man of enormous talent, courage and determination that helped him shatter racial barriers and earn a special place in the annals of our state and its flagship public university." Mike Singletary Bears Are Better Than Pack & Vikes ... They Can Win The North! Sorry, Aaron Rodgers ... your reign as King in the NFC North is over -- 'cause the Bears are the best team there now -- so says Chicago legend Mike Singletary. Da Bears just waxed the Bucs 48-10 ... and when the greatest LB in Chicago history spoke with TMZ Sports about the W -- he told us he's convinced they're better than the Packers AND the Vikings. "At the end of the day, I think the Bears are the most COMPLETE team in that division," Mike says. Of course ... Detroit's also in the North -- but after their loss to the Cowboys on Sunday ... Mike didn't even bother to mention them in the same conversation. BTW ... we also asked Mike about Chicago's victory disco ball party -- and he told us he loved it, saying you wouldn't have believed the ways his Super Bowl-winning Bears used to celebrate!! Trey Burton's Chicago Debut Cost Him $5,500, Best Money I Ever Spent! Slams Accuser You Have No Evidence!